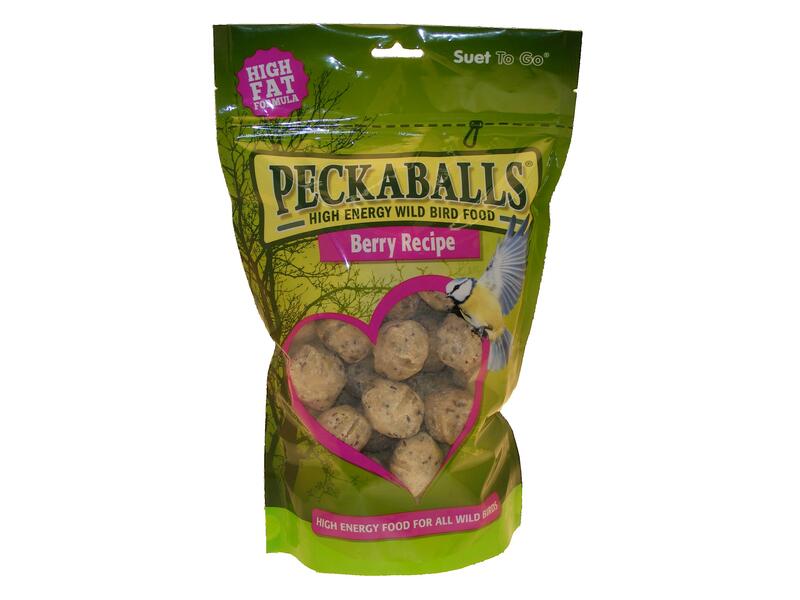 The Suet To Go Peckaballs are high quality and tasty treats which have been made with beef suet and either have added mealworms or a berry flavour which will attract a wide range of wild birds to your garden. Can be used on a table or in a peanut feeder, and can be fed all year round. Beef Suet, Wheat Flour, Peanut, Millet Seed, Linseed, Rapeseed, Berry Flavour. Beef Suet, Wheat Flour, Peanut, Millet Seed, Linseed, Rapeseed, Dried Mealworms. There are currently no questions for Suet To Go Peckaballs - be the first to ask one!